Red Bull motorsport advisor Dr Helmut Marko has lifted the lid on talks the team held with Fernando Alonso over the prospect of the Spaniard joining the outfit in 2008. Marko has claimed that Alonso's financial demands ultimately put off Red Bull, who went on to pick up Sebastian Vettel a year later. 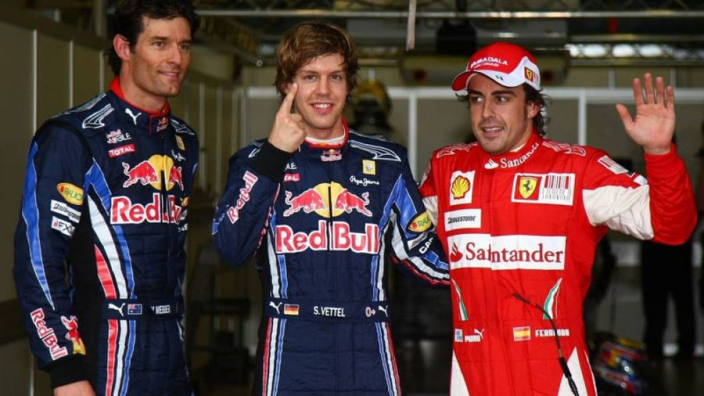 Alonso was reigning world champion when in talks with Red Bull back in 2007, in the midst of a first campaign at McLaren that ended in acrimony over his relationship with Lewis Hamilton and the 'Spygate' row. Last year, Alonso claimed that he had been approached by Red Bull numerous times over his career, but Marko said he had not held serious talks with the double world champion since their ultimately unfruitful 2007 meetings. Alonso went on to return to Renault before joining Ferrari and three times finishing runner-up to Red Bull's Vettel in the drivers' championship, but Marko has revealed how close things came to being completely different. Marko told Motorsport-Total: "They were very demanding, not so much about finances, but more about PR performances and liberties with merchandising and such. "We said: 'Okay let's look at the details, you have to send us a contract draft', we agreed that they had a week, after fourteen days there was nothing and nor after three weeks. "Then we said to Garcia Abad: 'Thank you, we do not have to do it anymore'." Red Bull took a solitary podium in 2007, courtesy of Mark Webber at the Nurburgring, but embarked on four consecutive double title wins just three years later – largely at the expense of Alonso and Ferrari. MORE: What is Alonso's greatest career achievement?